This is my son Aiden. Autism is only one part of him but it is an important part of who he is. 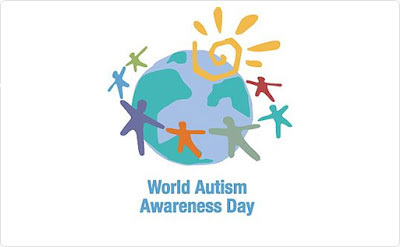 Approximately 67 million people worldwide are affected by autism - 1 in 88 children and 1 in 54 boys. If you don't know much about Autism now is the time for you to become aware. I have a whole bunch of great Autism resources listed under the Autism tab above so you don't even have to go looking very far. Trust me, kids like my son are totally worth the effort.